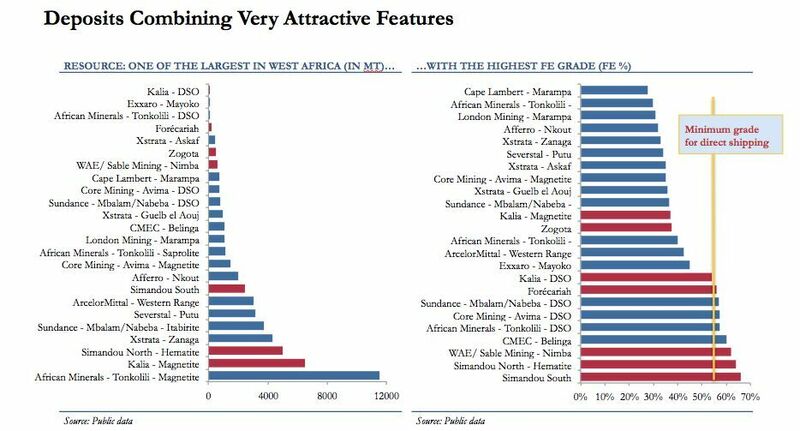 Guinea has the largest untapped iron ore reserves in the world. This ore, of outstanding quality, often has an iron content greater than 65%. The deposits are located mainly in the southern and central part of Guinea: the Mount Simandou and Mount Nimba region (in the southeast), the Zogota region (in the southeast; N’Zérékoré prefecture), as well as the Kalia region (Central Guinea; Faranah prefecture). Among these deposits, Simandou is the largest unexploited reserves of high quality iron ore in the world, with over 1.8 billion tons of estimated reserves, and an iron content greater than 65.5%. 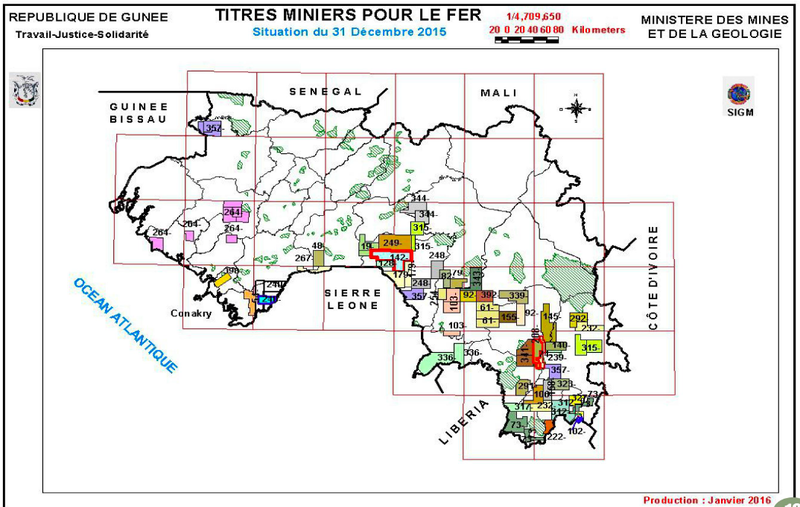 The Simandou South project will be developed by Simfer S.A, a joint-venture owned by the Guinean government, Rio Tinto, Chinalco and the International Finance Corporation (IFC, World Bank Group). Annual production capacity amounts to 100 million tonnes in full production, for a duration of over 40 years. The project will enable the construction of major infrastructure developments encompassing a port, railways and roads; allow for the expansion of economic and subcontracting activities; and stimulate job creation. The largest integrated mining-infrastructure project under development in Africa, Simandou South has the ability to double the GDP of Guinea and contribute to the accelerated economic transformation of the country.